Brain-zapping devices have shocking potential, but are they safe? Halo Sport is one of a growing number of devices that claim to improve brain function by sending a mild electric current through the skull. The device is being used by elite athletes and will soon be available to the public. But experts say more research is needed to determine if there are long-term side effects. The designers of Halo Sport, a headband they claim can improve athletic performance by shocking the brain, say their device could one day also help improve memory, foreign language acquisition, even math skills. The wearable device, initially tested and used as a training aid by elite athletes including former Olympic sprinter Michael Johnson and by the U.S. Ski and Snowboard Association, is now being offered to consumers. A presale sold out so quickly, the company says it has had to temporarily stop sales because of supply issues. "We're really unlocking potential. We're not really changing anything fundamental of the human itself, we're just trying to get the most out of people." 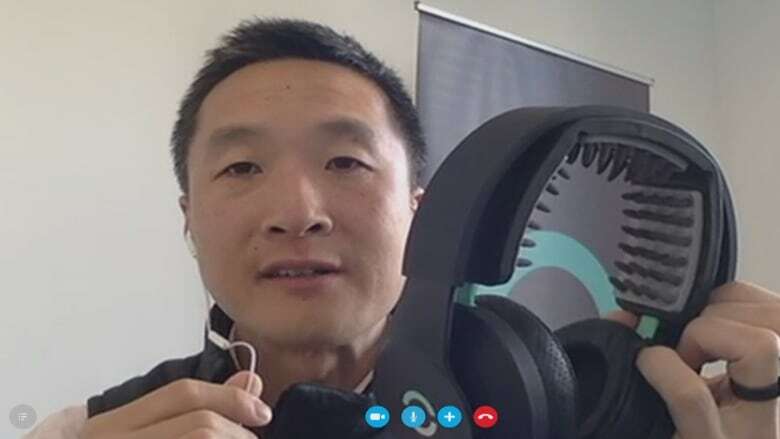 said Dr. Daniel Chao, Halo Neuroscience CEO and co-founder. 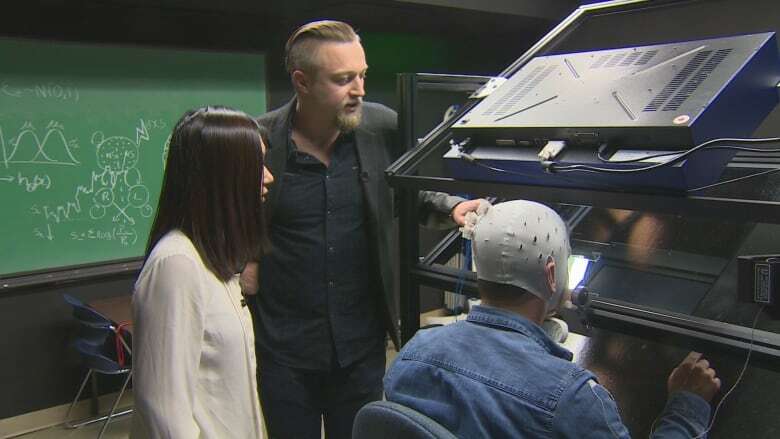 But a Canadian expert says those claims haven't been proven, and with no long-term studies on the health effects of transcranial direct-current stimulation (tDCS), selling such a device to consumers is "irresponsible." 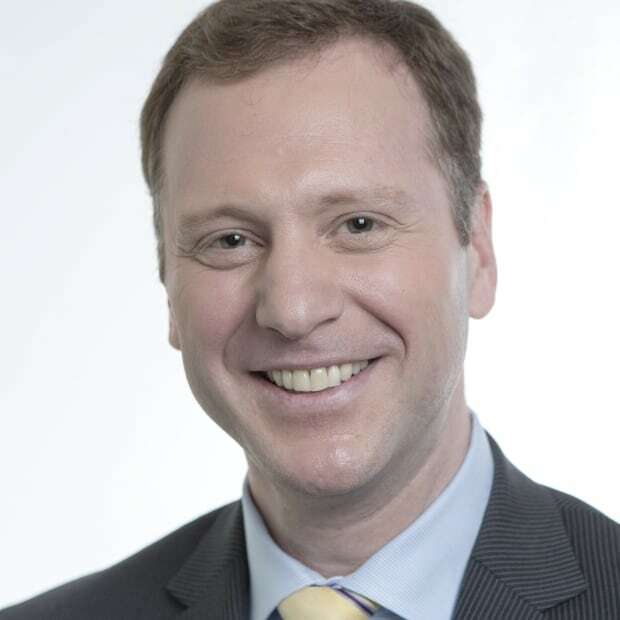 "To me it almost equivalent to giving you an experimental drug over the counter and saying 'just go with it, have fun' because it seems to be producing interesting effects that you might enjoy," said Gunnar Blohm, an associate professor at Queen's University's School of Medicine. Halo Sport looks very much like a high-end set of headphones (picture Beats by Dre or Bose). But between the earphones, on the inside of the headband, is a series of electrodes that Halo calls primers. "You just put it on like a regular set of headphones. We've engineered it so our primers go right over the part of your brain — the special part of your brain — that's called the motor cortex," said Chao. "The motor cortex is responsible for movement. So with any sort of movement training, what Halo Sport does, is it accelerates those results from any sort of movement training." Halo's primers send an electrical charge through the skull into that section of the brain. For a typical user, the charge will be less than 10 volts, a pulse of energy the company says will often go unnoticed or feel like a light tingle. From that small current, Halo's co-founder says it is achieving some significant results. "We worked with a group of college athletes," said Chao, "And we were able to get about 12 per cent gains in leg strength over a two-week period of time versus 1.7 per cent in a control group. So this is really exciting for us." Those gains, Chao says, were the result of a process he calls neuropriming, stimulating a section of the brain which he says makes it more receptive to training cues. "The brain essentially becomes stickier to the repetition that you're feeding it." Chao says. Chao and his Halo co-founder Brett Wingeier are among a growing number of scientists and entrepreneurs focusing on the rapidly expanding brain fitness market. One study suggests that market will be worth as much as $6 billion by 2020. "Neurostimulation is maybe a $10 billion dollar market that nobody's ever heard of," said Chao. Gamers have heard of it, though. For years, there have been devices, often marketed to people who play video games, that claim to enhance brain activity by zapping it using tDCS. But recently, a host of new devices has come online aimed at the broader market. Many of these wearables such as iFocusBand and Melomind claim to read brain signals and then use that information to help change moods or enhance focus. Others, like Halo and Thync, send an actual electric current to the brain. Thync, which works with a smartphone app, claims its signals can increase energy and reduce stress. But according to this article by Fortune Magazine, the speed at which these devices are coming to market is outpacing the research. So much so, one expert told Fortune, "it's a little bit of the Wild West right now." Blohm says, "[tDCS] still remains an experimental and very new method that we don't understand." Blohm, who is studying the effects of tDCS, says it's possible these devices perform as claimed. He says tDCS has enormous potential, in part because in some ways it produces responses in the brain similar to those made by electro-shock therapy and transcranial magnetic stimulation (TMS). "The reason why these things work is they actually alter how our brain works," he says. "We know that the actual structure of the brain gets changed in a long-lasting fashion. So if you're now applying tDCS, like, uncontrolled to your own brain, what are you actually doing to yourself?" Blohm says there's growing evidence that any tDCS effects might be age-specific; benefits in university students for example, could actually turn into deteriorated performance in elderly people. Other studies of tDCS on drug-resistant depressive patients, he says, found that simply reversing the polarity of the current actually worsened their condition. "So that should just tell you something about how, applied wrongly or in an uncontrolled, unsupervised way, how you can actually have very negative effects to not just your motor control or your mood but even maybe more profoundly, to your personality," Blohm says. "We really need to have more studies, long-term studies, translational studies, just simple test, re-test studies" he says. "Does the effect change over time? What's going on there, we don't know." "Do it at your own risk. But I wouldn't." Chao insists his product is safe. "We really rely on data for that. We've tested over 2,000 … neurostimulation sessions." he says. Broader studies by others looking cumulatively at more than 60,000 people, Chao says, also found his type of product is safe. Chao admits that there are no long-term studies, looking at, say, 20-year safety data. The longest studies he says, look at usage over a couple of months. But he says he and others have used the device for a couple of years and have experienced only benefits with no side effects. Waiting for longer-term studies, he says, would inhibit innovation. "This is how medical technologies start. It would be stifling to the advancement of technology if we required 20-year safety data for everything," Chao says. "We're doing everything we can to add to the volume of proof that this is safe. We believe that it's safe. Everything suggests that it's safe. Nothing suggests that it isn't safe."